In the stakeholder consultation meeting, Mr, Sarwar Kamal, Mayor, Cox’s Bazar Municipality was present as a chief guest and Abu Morshed Chowdhury, President of Federation of Development Society and Chief Executive, PHALS, Cox’s Bazar presided the meeting. 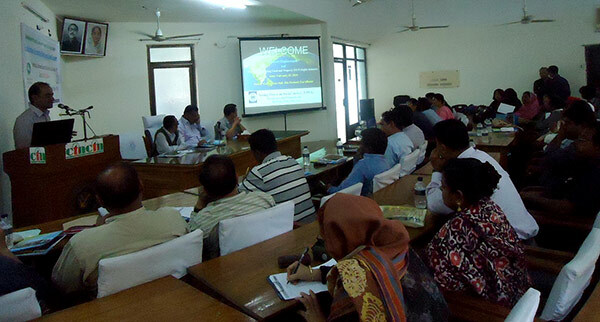 Enamul Haque Bhuiyan, assistant forest conservator in Cox’s Bazar was present as special guest. Mohammad Shahjahan, Team Leader of Bangladesh Housing, Land and Property Rights (HLP) Initiative program briefly described the profile of YPSA and activities of the HLP program implementing by YPSA and future planning on the rights of climate displacement in Bangladesh. After the key note paper presentation, Mr. Kanon Pall, Executive Director of EXPAURUL ; Ajit Nandi, Regional Manager of BRAC; Ashraful Huda Siddiquee Jamshed, Akhter Kamal, Rafiqul Islam, Councilors of Cox’s Bazar Municipalities; Dipok Sharma Dipu, Cox’s Bazar Forest and Environment Protection Porishad (CBFEPP) president; Priyotus Pal Pintu, President of Cox’s Bazar Environment Journalist Forum president; Adv. Ayasur Rahman; Abdul Majhid, District Relief and Rehabilitation Officer, Md. Shafique Saleh, Regional Manager of CODEC; Makbul Ahamed, Coast Trust; Fajrul Kader Chowdhury, Green Cox; Bimo Kanti Das, Mukti Cox’s Bazar; Dipon Barua, POPI participated in the open discussion and gave suggestions about the climate displacement issues. Chief Guest of the meeting Mr. Sarwar Kamal, Mayor, Cox’s Bazar Municipality mentioned in his speech that, YPSA is performing greatly in this area for the betterment of community people. These are a kind of initiatives which focuses on the rights of climate induced displaced families, Bangladesh ratifies the UN charter and we are responsible to ensure the rights of the displaced people. From the local administration we are promising to provide our full support in such initiatives from YPSA. We should ensure sustainable utilization of land and strictly implement land uses policy of the country. The database for climate displaced peoples should be prepared urgently and if YPSA will take necessary action to do a research on climate displaced peoples at Cox’s Bazar, Cox’s Bazar Municipality will give all kinds of support to rehabilitate the disaster affected victims. Enamul Haque Bhuiyan, Assistant Forest Conservator in Cox’s Bazar said Forest Department now implementing vast coastal afforestation program at Cox’s Bazar to protect the vulnerable islands against climate change with the support of YPSA. Mangrove forests can protect the coastal erosions from sea but land grabber destroys the forest and rate of displaced peoples increasing from different Upazilas of Cox’s Bazar. The forest department was forced to return the land planned to raise mangrove forest due to mindless grabbing by the local influential quarters, he said, adding that at least forty people had been sued for this illegal practice. So we should increase forest area and reduction of forest depended peoples for destroy our mangrove forest and protect the coastal peoples from migrated their land and home. Mr. Syed Assraf Ullah, Prabal Barua and Md. Harun, Program officer of YPSA were present at the consultation meeting with stakeholders.